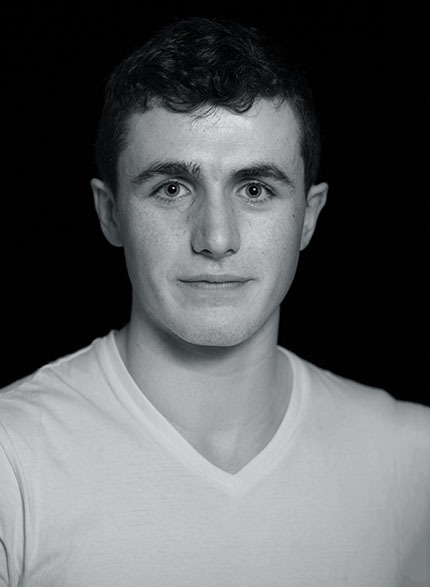 Aidan Murphy is researching his master’s thesis at CONNECT in Tyndall National Institute. Ok, so I’m Aidan Murphy. I’m a research master’s student here at MCCI, which stands for Microelectronics Circuit Centre Ireland. Before this I studied electrical engineering in UCC. I work with electrochemical sensors. We have a team here who make sensors that detect heavy metals in water or in viruses, or explosives. One of these sensors detects diseases, particularly bovine viral diarrhoea (BVD), which is responsible for a number of diseases in cattle. So, working with Analog Devices, I am developing a portable device that can enable these sensors to be used at the point of test. Our work won the gold medal at the 2016 Enterprise Ireland Innovation Arena Awards at the National Ploughing Championships. We won in the category of Most Innovative Research Emerging from Third Level. What problem is your research addressing? Prior to the eradication scheme, BVD cost the Irish dairy/beef industry €102 million per annum and $4 billion in the US cattle industry. There’s now a critical need for on-farm diagnostic devices. Current detection methods are lab-based and can take 72 hours or more to return results. Slow diagnosis can potentially result in severe financial implications for the livestock industry and contributes to the spread of the virus within a herd. Do you enjoy working in research? Yes, I like this environment: in research you work at your own pace and I try to work as hard as I can. High pressure is one of the things I enjoy. At this stage of my career, I want to be in that kind of volatile environment. What is your favourite part of research? For my whole time here I’ve had the freedom to explore areas that have interested me. My research is my baby. If I want to work on a certain board, I can do that. If I want to take it in a certain direction, I can try that. And I can avail of the expertise and the advice of fellow researchers to avoid going down dead-ends. I really like that I can do that. Had you thought about working in industry after you graduated? A lot of my friends are in industry and they make a lot of money! I envy them from that point of view, but I also really value the freedom that research affords. It’s a good staging post between undergraduate studies, and the world of industry. I am enjoying this stage for now. My spare time is usually spent training for my local hurling and gaelic football teams. Otherwise, I’m reading or planning my next trip! I play Junior A hurling with Cloughduv GAA and Junior A football with Canovee GAA.